This is just a place I store my plans. Mainly because planning is not all, vacation is a big part of the gig. And weather and general possibilities too. I wanted to see Venezuela, Peru, Bolivia, Uruguay and Paraguay while the Danish winter made Denmark so unsuitable for living. Unfortunately, this central South American countries do receive the major part of their rain in this season, and roads might disrepair - along with the sun. Well, the western costal part of Peru and Venezuela is bone dry any time of year, but I have to wait until I have a vacant summer. And at present (2017), even I have to consider Venezuela to be just a tad too unsafe. 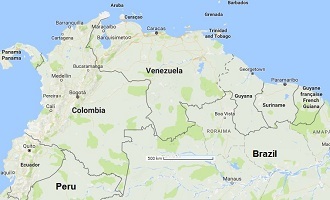 Any given vacant summer, I will go back to Peru, Bolivia, Uruguay, Paraguay and if it is safe; Venezuela.